I really do love eBay! I’ve bought some very cool and unique things on the site. Case in point, all of my fisherman lamps, and nautical light fixtures came from eBay. 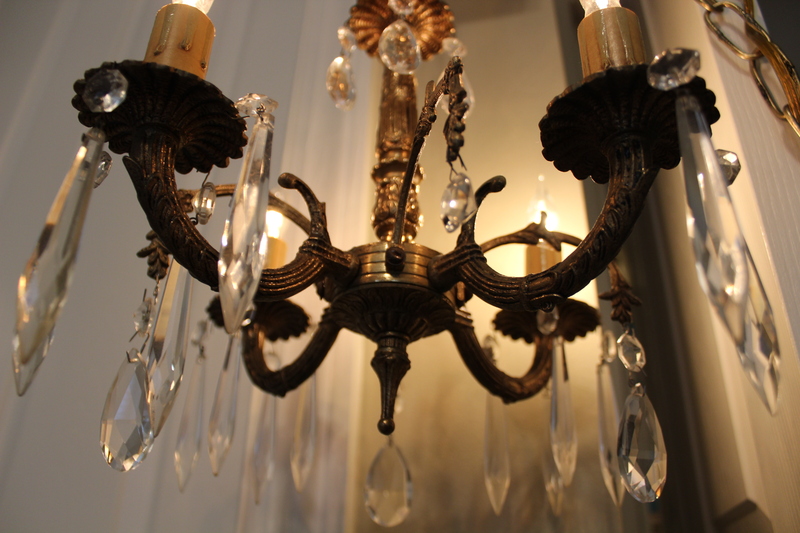 Along the way I’ve found a few awesome chandeliers too! But, as I’ve learned you do need to read the fine print! Once safely rewired, I will purchase the 5 needed sleeves and 25 crystals. And my niece’s nursery will be complete at last! So, my advice to eBay shoppers is read the fine print and ask questions if it is unclear. It would be much cheaper to pay the bit of extra shipping instead of going this route. Naturally many old fixtures need to be rewired anyway, it just would have been nice to know that up front. Lesson learned! Petite Chandeliers-Where to use them?